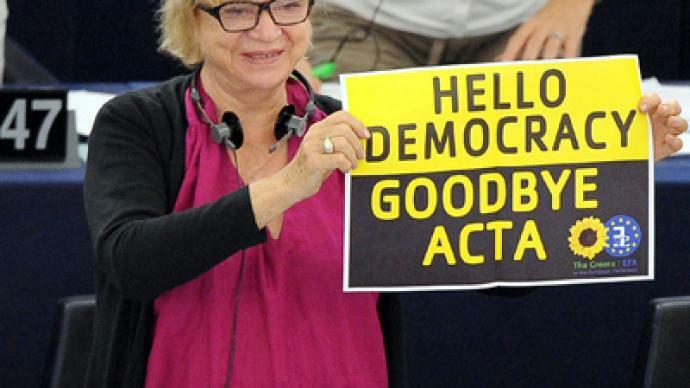 ­Zimmermann, a co-founder and spokesperson for civil advocacy group La Quadrature du Net, sees the MEPs' decisive vote, which prevented ACTA from being ratified, as the beginning of a new era. He says that if EU policy makers develop specific laws for use online, these laws should not affect private file sharing. Zimmermann insists that copyrights should be adapted to society, but “not the other way around,” and this should be done through democratic processes. 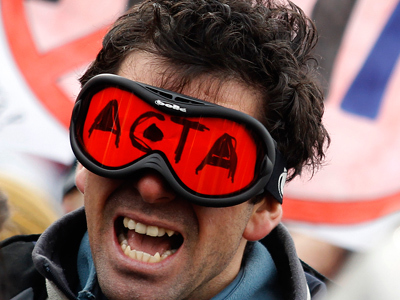 ­RT: Now that ACTA's been turned down, what's the alternative – several countries were keen to sign up for the anti-copyright law before. Jeremie Zimmermann: Well, first of all, this is a huge victory for the citizenship, for democracy and for freedom online. We worked very hard for the last four years to achieve this. The whole citizens of the Internet network, the public global sphere achieved this victory. But as you say, this victory should be the beginning of something else. And through the victory on ACTA, we hope that the EU policy makers will understand that the endless spiral of repression that has been pushed for the last fifteen years by the entertainment industry has to stop, that combating our cultural practices online is not an option and would only be done at the expense of a fundamental freedom and of the very fabric of what is a free Internet. So, we have concrete proposals and they are already on the table of the EU policy makers. About reforming copyrights, about making our practices legal and sharing, and a remix of cultural goods be made legal into the law, so that can end this war against sharing. 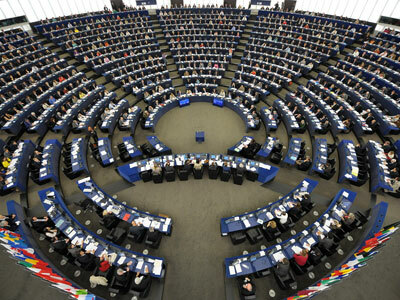 This is urgent, and I hope that the ACTA-battle members of the European Parliament understood. If you heard yesterday’s debates, you heard members of all the groups, all the parties claiming that copyright has to change. This is a signal that citizens sent through the Internet to policy makers and this is a symbol of global scale. RT: Broad-sweeping anti-counterfeit laws have got angry responses from protesters around the world. But is there a legitimate solution to this? JZ: The Internet today is a global online public sphere. This is where people meet; this is where people discuss; this is where people’s opinion crystalizes; this is where we can discuss concrete proposals to alternatives to ill-founded policies. If you look at how ACTA was drafted, it was mostly a few US-based industries – and if you are elected representatives who agree together on what we can do together in the open, with a free decentralized universal Internet, it will be of much better quality, I can assure you. RT: As an advocate of cyber freedom, could you tell us, where do one person's rights become open to infringement? JZ: In copyright you have this notion of fair use ["Fair Use" Concept for Copyright], in authors’ rights it is called the “Limitations and exceptions” and those are a part where the artist does not have his word. The author can’t, for instance, ban you from lending a book, can’t ban you from making a parody of this work. Lending and parodies are of general interest, so what should govern policymaking is this notion of general interest. When it comes to file sharing online, you have dozens of independent studies, including one from the French [digital] rights authority HADOPI that proves that people who share more files on the Internet are the people who spend on culture. The same way that people who borrow more books in libraries are the people who buy more books. So, when we do file sharing between individuals and not for profits this is beneficial for culture. This practice of file sharing between individuals and not for profit is not only legitimate, but it is beneficial for culture and economy and therefore for the whole society. So, sharing files between individuals not for profit must be made an exception to copyright. RT: Could Europe ditching ACTA be a green light for pirates and fraudsters to openly defy copyright laws? JZ: It is the notion of copyright itself that should be revised. We all have the capacity to participate in a culture to share, to rip, to remix. We all are participants to culture and it is a fundamental right to participate in culture. And now we have the technology to do so. 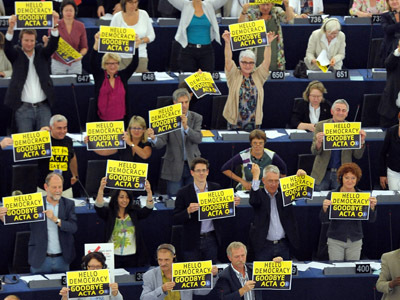 So it is a copyright that should be adapted to the society, and not the other way around – and not through anti-democratic processes, through ACTA, but within parliaments with citizens being heard. 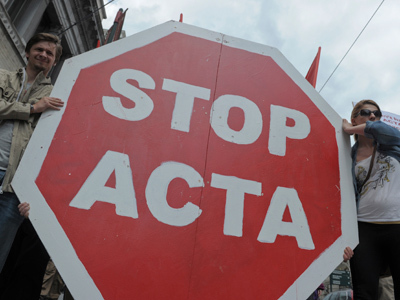 I believe that the defeat of ACTA is the beginning of this.